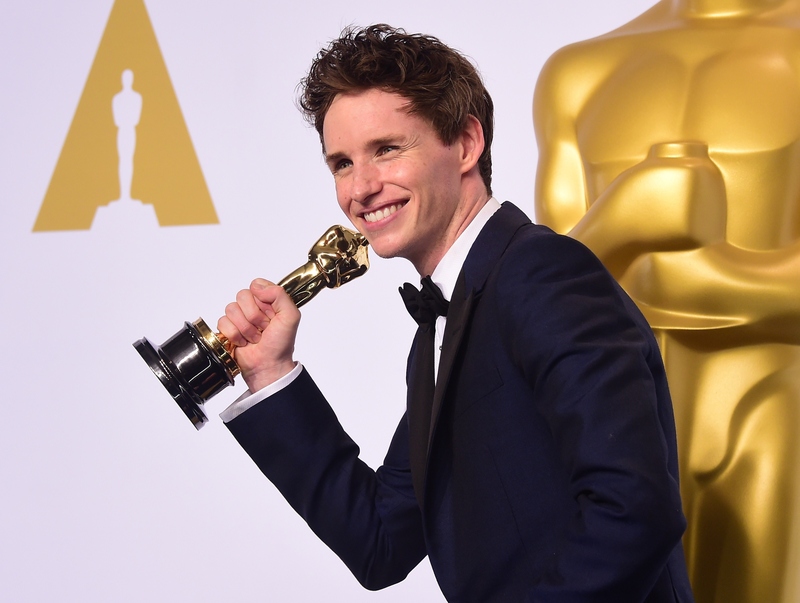 It was a big night at the 2015 Oscars for The Theory of Everything actor. Eddie Redmayne won Best Actor for his portrayal of Stephen Hawking, and his reaction was everything I could have hoped for and more. Redmayne was genuinely surprised and thrilled to take home the huge honor. Not only were his expressions super adorable, but so was the fact that the actor referred to his Oscar statue as thought it was a real person. So, now that Redmayne's won the major award (yes, just like in The Christmas Story), what is the talented actor's next project? There are many people who have written Ph.D's on Lili's story. Even though it is period and under completely different circumstances than today, I'm meeting many women from the trans community and hearing their experiences. I have put on dresses and wigs and makeup. I'm beginning to embark on that and trying to find out who she is. Based on Redmayne's past roles, including Hawking, I have no doubt that he'll bring justice to this influential role, which is extremely relevant, especially with shows like Amazon's Transparent and actresses like Laverne Cox from Orange Is the New Black diversifying the entertainment world and changing it for the better. With that said, not only will Redmayne's role as a transgender woman bring to light an important topic that needs to be openly discussed, but it also might win him another Oscar, not to mention earn him a slew of worthy nominations. It's important to note, though, that possible Oscar nomination could cause controversy, similar to when Jared Leto won for Dallas Buyers Club . For those unaware, some people felt that a trans actor should have taken on the role, rather than a cisgender male playing a trans character. The same could be said with Redmayne. Some feel that trans actors get overlooked for roles. Plus, others also feel that the availability of trans roles is slim to none. By no means am I trying to discredit Redmayne, Leto, or anyone else who has taken on a trans role, but I think it's important to recognize the issue. Hopefully, this kind of talk will open the door for trans actors and give them the opportunities they truly deserve, all while bringing to light an important discussion. With that said, I still think Redmayne will do the role justice just like he did in The Theory of Everything. He seems like the type of actor who wants to be an honest storyteller. If Redmayne's portrayal of Einar Wegener does get him another gold statue, then we might get another reaction like this. Here's hoping, because I can't get enough of Redmayne and his admirable roles. The Danish Girl is the only project Redmayne is currently working on, but he can also be seen in Jupiter Ascending which was released Feb. 6.